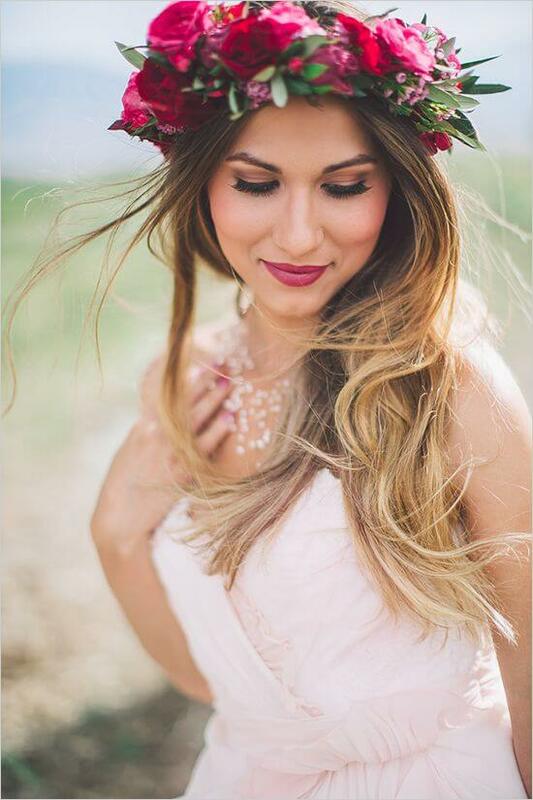 Splendid reasons to love hair and makeup…. 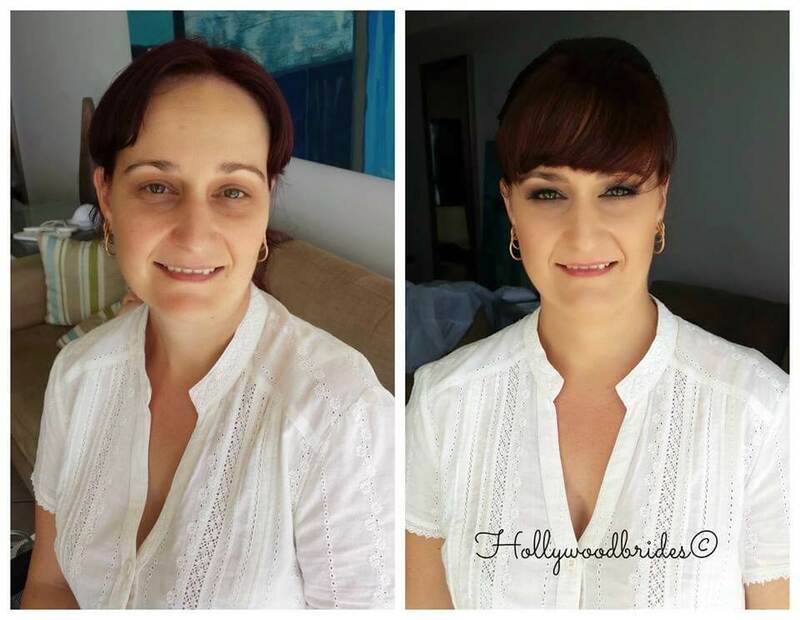 I just wanted to share with you some of our most recent before and after transformations. 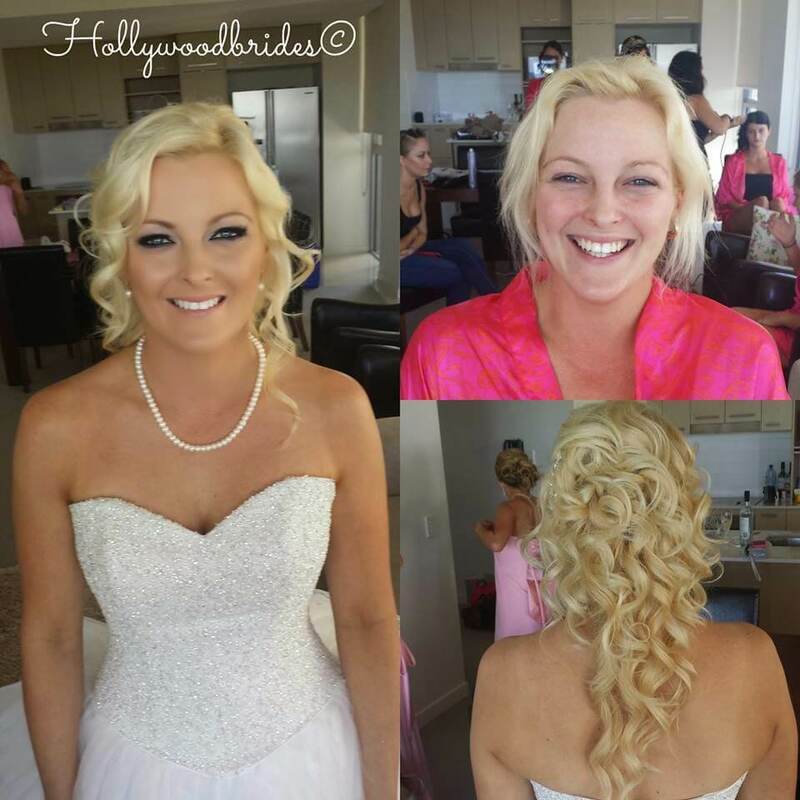 Hair & Makeup is honestly something that can totally enhance your natural features and make you look and feel so very beautiful! 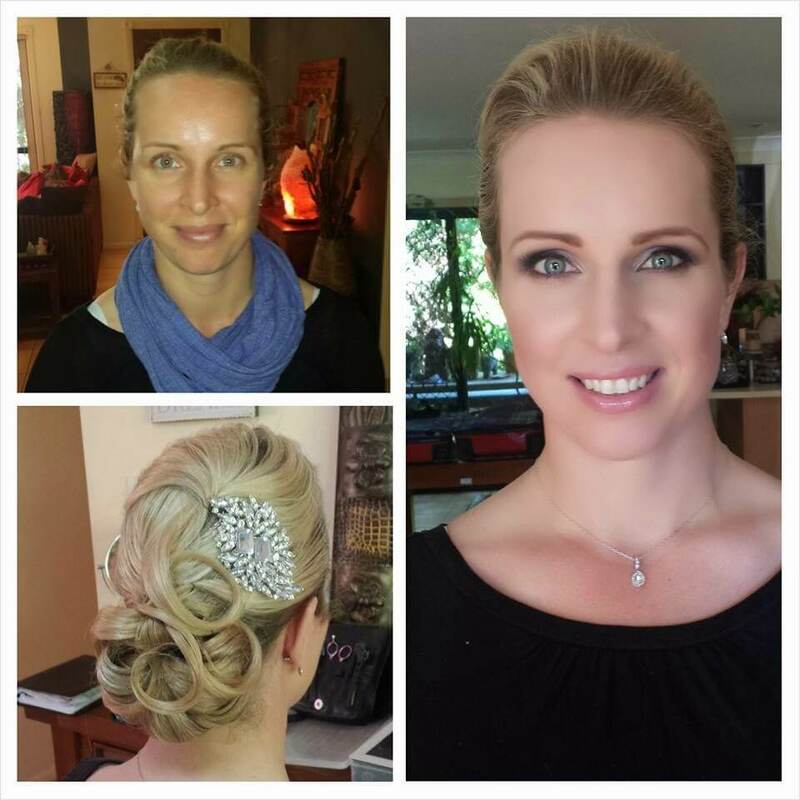 So many clients love to see our transformations as what we do is amazingly artistic. 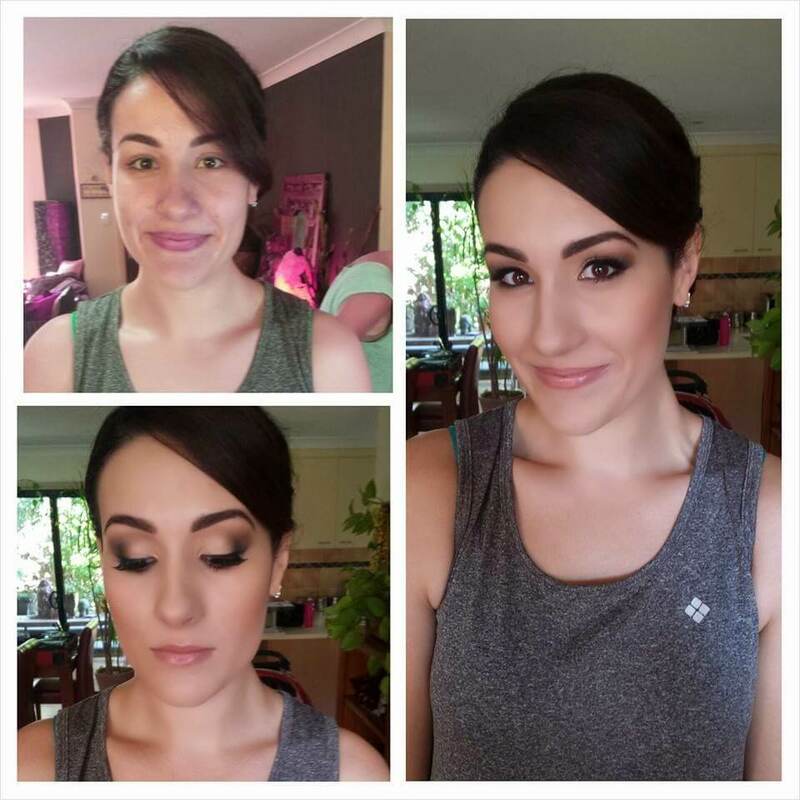 Having your hair and makeup done is just like getting a spa-like treatment and what girl doesn’t love to be pampered! 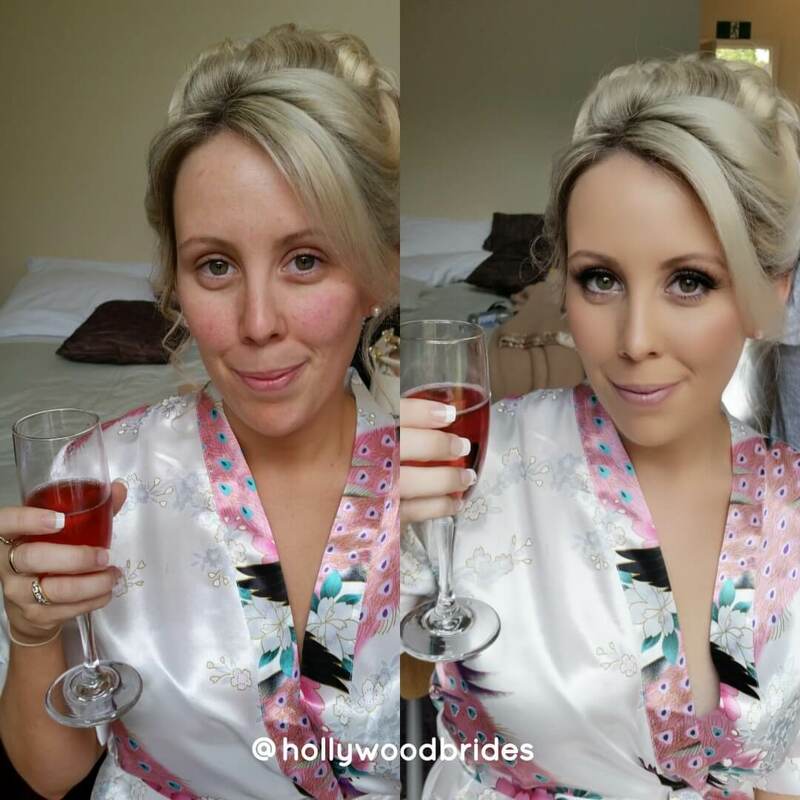 If you have a scar or an imperfection of any kind, you can use airbrush makeup to cover it up. Not only does it hide every flaw, but it really makes the face and skin look completely flawless in the camera lens every time! 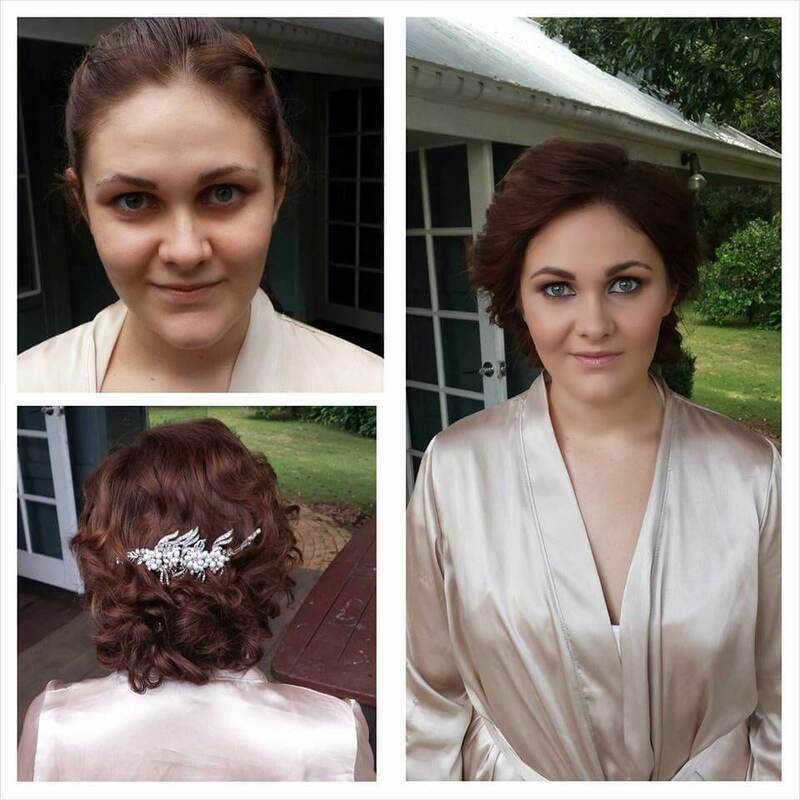 These photos demonstrate what can be achieved with real women who have had a professional hair and makeup application with professional products. 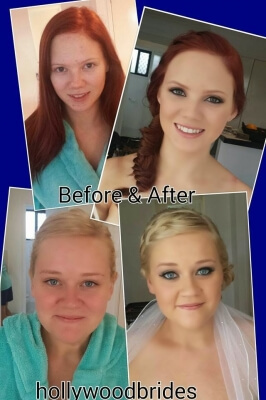 Renowned for its feather light but flawless finish, airbrushing is a must for those brides who want to look absolutely fabulous and perfect in their wedding photography. 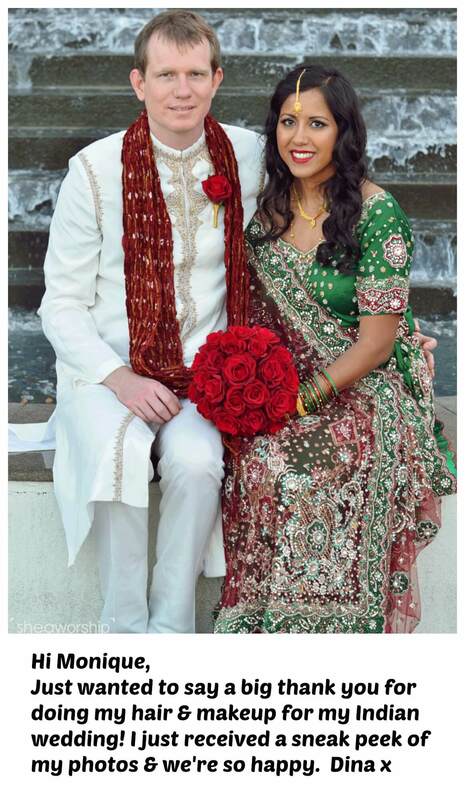 At Hollywood Brides our aim is to ensure that every beautiful bride or client experiences the same quality and level of service expected by A-List celebrities in terms of their wedding hair and makeup, yet at an affordable price. 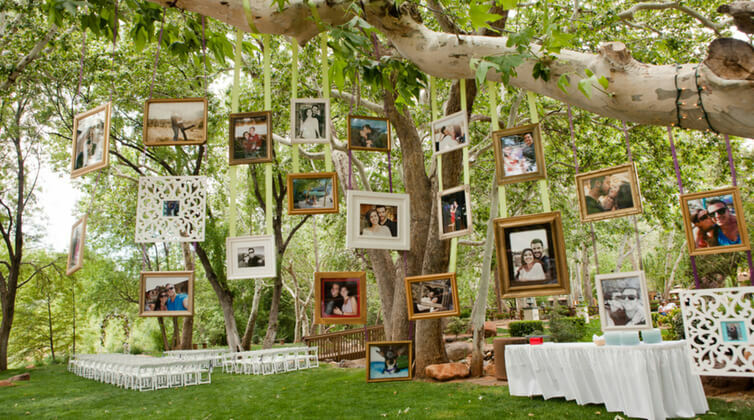 Your wedding day is one of the most memorable days of your life, and you want to know with confidence that you will look more beautiful than you ever imagined. 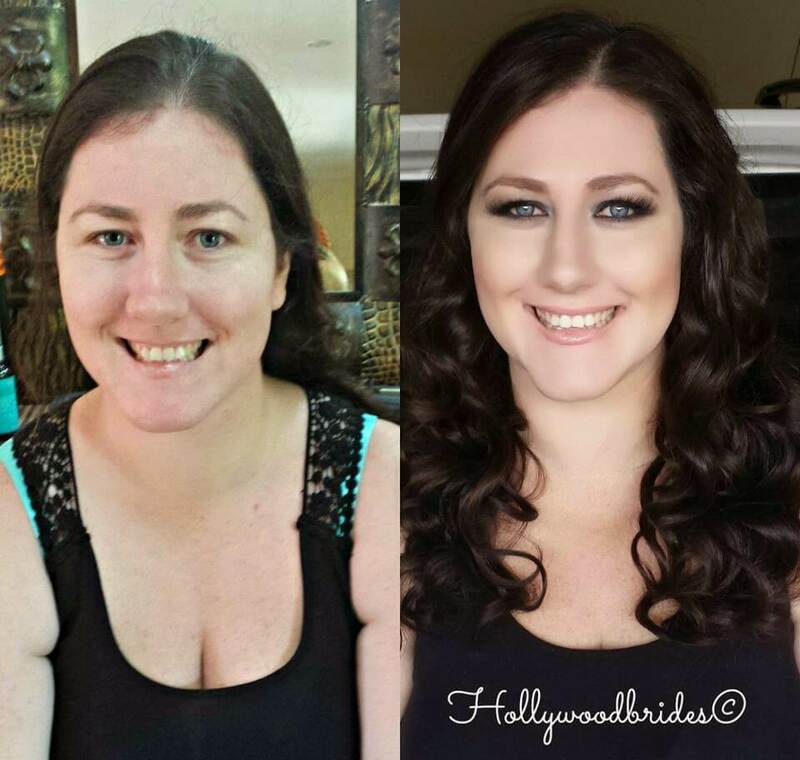 Hollywood Brides professional make up artists, based in Brisbane & The Gold Coast, will transform you to give you a flawless look. 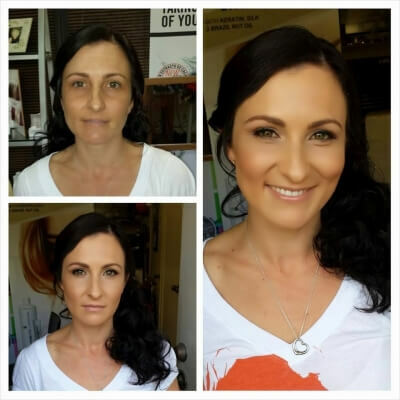 One of the many reasons our clients look so amazing is we only use the highest quality hair, makeup and skin care products, ensuring that you look absolutely flawless in your photos and in person. We never compromise on our high standards and neither should you. Keeping up with the latest in hair and make up technology, our stylists have no particular attachment to any particular brand, allowing us to customise products according to each individual client’s needs. Once we have worked our magic in order to keep yourself looking your best on the day itself, it is a good idea to give your head bridesmaid a small bag to hold your essentials. This should include a translucent powder compact, blush or bronzer, lipstick, perfume, an extra pair of pantihose, eyelash glue and a nail repair kit.